Two U.S. service members were killed in action Wednesday night in eastern Afghanistan during a raid against the Islamic State in Iraq and Syria’s Afghan affiliate, according to a defense official. 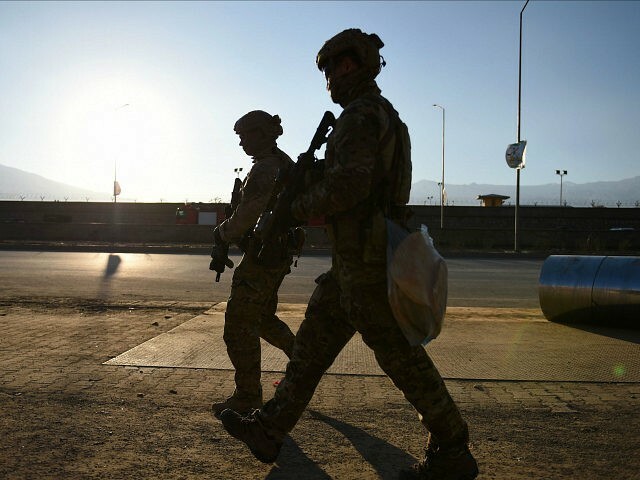 “Two U.S. service members were killed in action and a third was wounded in action on Wednesday evening when they came under attack during a raid against insurgents in Nangarhar Province,” said a statement by the U.S. military in Afghanistan. The service members were conducting a partnered operation with Afghan National Defense and Security Forces, the statement said. Eighteen ISIS fighters were killed in what was described as a “gunfight,” according to Fox News. “The fight against [Islamic State in Iraq and Syria – Khorasan] is important for the world, but sadly, it is not without sacrifice,” said General John W. Nicholson, the commander of U.S. forces in Afghanistan. “On behalf of all U.S. Forces and our coalition partners, I offer our deepest sympathies to the families, friends, and fellow service members of our fallen comrades,” he said. The raid occurred in Achin, the same area where the U.S. military dropped the largest non-nuclear bomb on a complex of tunnels and caves used by ISIS-K just weeks ago. That bomb, dubbed the “Mother of All Bombs,” killed between 36 to more than 90 ISIS-K members, according to various news reports. Nicholson used permission given in January 2016 to drop the bomb. That permission loosened restrictions on targeting the ISIS’s nascent presence in Afghanistan. ISIS-K established itself in Afghanistan in 2015, and has a presence of an estimated 600 to 800 members there, according to officials. President Trump has vowed to go after terrorists and, under his watch, U.S. airstrikes in Afghanistan have increased 270 percent from January to February, or an increase of 54 strikes to 200, according to Air Force Central Command data. So far, one U.S. service member had been killed in Afghanistan by hostile fire this year, compared to twelve U.S. deaths from hostile fire last year, according to iCasualties.org. President Obama had declared the end of the U.S. and NATO combat mission in Afghanistan in 2014, and sought to draw down U.S. troops to an embassy presence by the time he left office in 2017, but changed his mind after the Taliban made a comeback. The administration is conducting a review of its strategy for the Afghanistan War, which Nicholson had declared a “stalemate” earlier this year.